Hugh Hampton Young, MD attended the University of Virginia where in four years he received a bachelors degree, a masters degree and a medical degree by 1894. He then went onto The Johns Hopkins Hospital for postgraduate education where he took charge of the Genitourinary Surgery Division. Thus began the career of the individual who is considered the "Father of American Urology." J.A. Campbell “Cap” Colston graduated from Yale in 1907 and from Johns Hopkins School of Medicine in 1911. After two years on the surgical house staff at Hopkins, he joined the American Red Cross Hospital in France, but in 1915 transferred to the Medical Corps of the British Army and became a captain. In 1917, he transferred to the American Expeditionary Forces and served as major until after the war in 1919. In 1922, he married and had three children, two who became physicians,one of whom was a successful urologist. Having specialized in urology, he became an associate professor at Hopkins in 1934. His professional private practice was large and lucrative but patients across the social scale all received the same warm, kind attention. He belonged to numerous medical societies and became president of several. He was the author of many significant articles on urological subjects in different medical journals. He became Editor of The Journal of Urology® in 1945 and served with distinction for 20 years. Hugh Judge Jewett, MD received his undergraduate degree at The Johns Hopkins University. He entered the Johns Hopkins School of Medicine in 1926. 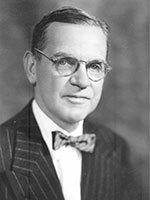 After obtaining his medical degree, Dr. Jewett trained under Hugh Hampton Young, MD and finished his urology training in 1936. Dr. Young "farmed out" his residents for at least a year to other institutions, and so Dr. Jewett spent a year in general surgery with T.F. Riggs in Pierre, SD and a year in urology with Frederic Foley in St. Paul, MN. He spent several years in Europe rounding out his urological training and upon his return entered private practice with J.A. Campbell Colston, MD in 1937. His entire practice was centered at Hopkins where he became an associate editor of The Journal of Urology® in 1946, assuming full editorship in 1966. That same year he became a full professor as well as president of the AUA. He remained editor of The Journal until 1977. William Wallace Scott, MD attended the University of Missouri at Columbia. He began medical school at the University of Chicago in 1934. His graduate work culminated in a PhD in physiology in 1938 and an MD in 1939. Dr. Scott worked with Charles Huggins, MD and later became his resident and associate. Dr. Scott's experiences with Dr. Huggins convinced him that he wanted to pursue a life in urological surgery and research. During his tenure, Dr. Scott gave 15 named lectures and participated in 25 visiting professorships. He was chair of the Department of Urology at Hopkins from 1946 to 1974. Dr. Scott also served the faculty committees of the School of Medicine at Johns Hopkins and the National Institutes of Health and Armed Forces in Washington, D.C. It was extremely gratifying to Dr. Scott that 22 of 65 of the residents training during his tenure later went on to head departments of urology in medical schools here and abroad. Dr. Scott received numerous awards including the Ramon Guiteras Award and the Eugene Fuller Triennial Award of the AUA as well as an honorary Doctor of Science degree from the University of Missouri. He served as president of the Mid-Atlantic Section of the AUA in 1965 and of the Clinical Society of Genito-Urinary Surgeons and the American Association of Genito-Urinary Surgeons in 1974 and 1978, respectively. Dr. Scott edited the Yearbook of Urology from 1950-1963. In 1963 he founded the journal Investigative Urology, and was associate editor of The Journal of Urology®, eventually succeeding Dr. Jewett as editor in 1977. 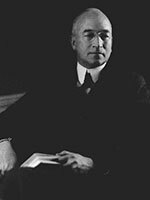 Herbert Brendler, MD received his bachelor's degree from Columbia University and his medical degree from New York University (NYU). He obtained his surgical experience in New York and completed his training in urology at the University of Virginia and The Johns Hopkins University. 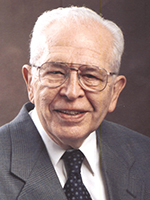 Dr. Brendler served in the United States Navy in World War II. Dr. Brendler was urologist-in-chief and chairman of the department of urology at Mt. Sinai Medical Center in New York from 1963 to 1982. He also served on faculties at Hopkins, NYU and Bellevue Medical Center. He was the 79th AUA president after having served five years as AUA secretary. He served on the Residency Review Committee for urology from 1973 to 1979 and was also chairman of that committee. 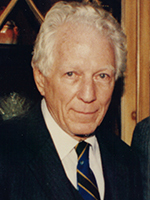 Dr. Brendler represented the New York Section of the AUA executive committee from 1971 to1977. He was elected secretary of the AUA in 1977 and served as program committee chairman for AUA conventions from 1978 through 1982. Dr. Brendler is author or co-author of approximately 150 scientific publications. He served on the editorial board of The Journal of Urology® and later became associate editor and then editor in 1983. Dr. John "Jack" Thomas Grayhack received his BA and MD from the University of Chicago. After a general surgery internship and residency at Johns Hopkins, he spent a year in the Brady Research Laboratory and became interested in all phases of urology. Dr. Grayhack became a Brady resident and completed his urological training in 1953. He was an assistant professor at Hopkins and served two years in the Air Force before being recruited to Northwestern University in 1956. He was appointed the chair and Herman Kretchmer Professor of Urology in 1963, a position he held until 1989. Dr. Grayhack received some of the most prestigious awards in urology, including AUA's Hugh Hampton Young Award in 1979, Eugene Fuller Prostate Award in 1989, Russell and Mary Hugh Scott Education Award in 1991, Ramon Guiteras Award in 1994 and Presidential Citation in 2002. He served as President of the American Board of Urology, American Association of Genito-Urinary Surgeons, Clinical Society of Genito-Urinary Surgeons, and Society of University Urologists. Dr. Grayhack was editor of the Yearbook of Urology from 1963 to 1978 and editor of The Journal of Urology from 1985 to 1994. 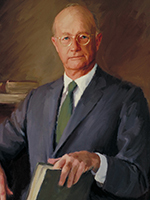 Dr. Gillenwater completed medical school at the University of Tennessee in 1957. He did an internship at the Graduate Hospital of the University of Pennsylvania, followed by an assistant residency in internal medicine. He then went into urology and completed his training at Graduate Hospital in 1965. From there, he went to Virginia and joined the Department of Urology at the University of Virginia Hospital as assistant professor from 1965 to 1967. In 1967, he became professor and chairman of the Department of Urology, a position he held until 1995. 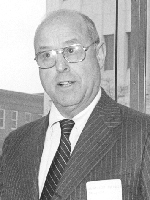 In 1977, Dr. Gillenwater served as editor of Investigative Urology until 1984. From 1979 until 1994, he edited the Yearbook of Urology. He was associate editor of The Journal of Urology for ten years, beginning in 1984 and was editor from 1994 to 2004. He was the recipient of AUA's Hugh Hampton Young Award. Dr. Gillenwater belongs to a large number of national and international urology societies, was on the American Board of Urology from 1982 through 1988 and was its first president in 1985. In 1992, he served as president of the AUA. Dr. Resnick graduated from Alfred University, received his medical degree from the Bowman Gray School of Medicine at Wake Forest and completed his urology residency at Northwestern University under former Journal editor John T. Grayhack. 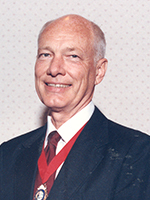 In 1981 he was appointed professor and chairman of the Department of Urology at Case Western Reserve University and for the next 26 years led a department that maintained a reputation for urological excellence. His clinical interests ranged from oncology to renal stone disease to ultrasonography. Dr. Resnick was active nationally and served as president of the American Board of Urology and the Society of University Urologists. As AUA Secretary (1997-2002) he was also editor of AUANews, the official newsmagazine of the American Urological Association. He was appointed AUA President in 2003-04. Dr. Resnick served on several editorial boards and was the founding editor of Contemporary Urology. However, and despite the many senior editorial positions that he accepted, he derived the greatest personal satisfaction as Editor of The Journal of Urology®. 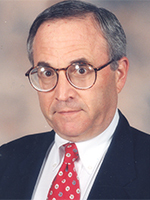 Dr. Resnick's dedication to The Journal was all-encompassing, beginning with negotiations that secured a favorable contract with The Journal's new publisher, Elsevier, to matters aimed at enhancing The Journal's quality, to expanding its reputation as the leading journal in the field of urology. Dr. Steers received his medical degree from the Medical College of Ohio before completing his residency in urology, and a fellowship in neurobiology and pharmacology. He joined the faculty at the University of Virginia in 1988 and succeeded former editor Dr. Jay Gillenwater as department chair in 1995. During his career, Dr. Steers was an acknowledged world expert in the management of urinary incontinence, neurogenic bladder, benign prostatic hyperplasia and the treatment of complications of prostate cancer therapies. He was the recipient of the prestigious AUA Gold Cystoscope in 1994 as well as the Hugh Hampton Young Award in 2011 for outstanding contributions in urological education and pharmacology of the genitourinary tract, including female urology, urinary incontinence and neurogenic bladder. Dr. Steers served as assistant editor and then as associate editor of The Journal of Urology®. His most personally meaningful and impactful contribution professionally came from his work as Editor of The Journal. During his 8-year tenure, Dr. Steers worked tirelessly to ensure that The Journal maintained the highest level of professionalism and become the repository of the most important works in the specialty. Of the many notable and admirable characteristics that were evident in his role as Editor, one that stands out is his integrity. One never doubted his commitment, impartiality or intent to maintain the absolute highest standards personally and for The Journal of Urology®. Dr. Smith received his MD from the University of Tennessee Medical School, and his professional focus is innovative treatment strategies for patients with urological cancers, and the introduction and evaluation of technological advances in urological surgery. He is a recipient of the Distinguished Contribution Award and the Hugh Hampton Young Award from the American Urological Association, and the SUO achievement medal from the Society of Urologic Oncology. 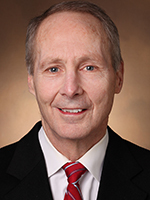 He is the William L. Bray Professor in the Department of Urologic Surgery at Vanderbilt University in Nashville, Tennessee, where he served as chairman of the department from 1991 to 2015. Dr. Smith was appointed Editor of The Journal of Urology® in 2015. 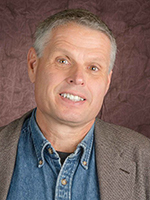 Most recently, Dr. Smith served as associate editor of The Journal and his editorial experience spans 25 years, during which he has served as associate editor, assistant editor and editorial board member for more than 15 international and domestic journals. This experience has confirmed for him that The Journal of Urology® is the most widely read and frequently cited journal in the field. He believes that articles published in The Journal help direct new patient care initiatives and determine best treatment approaches. In 1923, at the age of 18, Miss Trott became private secretary to Dr. Hugh Hampton Young, Professor of Urology at Johns Hopkins. Under his dynamic influence she was soon involved in all aspects and ramifications of the rapidly developing specialty. Apart from routine work in the Professor's office, she helped with the preparation and publication of important books and articles in urology. Through her association with Dr. Young, she grew to know personally many of the great leaders in the field, and largely from these early contacts acquired an extraordinary affection for the American Urological Association. Her contributions to the total welfare of the Brady Institute were incalculable. She had a warm and sincere concern of the professional advancement of a long series of assistant residents and residents whom she regarded oftentimes as her wards. When necessary she would even intercede for them with the Professor, and their genuine affection for them all broadened and deepened as the years went by. Among her manifold duties was the technical editing of articles submitted to The Journal of Urology®, which in 1920 had become the official publication of the Association. For more than 40 years she proofread thousands of these manuscripts with an alertness for clarity, succinctness and accuracy. She dealt constructively and tactfully with authors and publisher and rendered consistent and continuous assistance to the editors. Her importance to the Association grew simultaneously and made necessary her attendance at its annual meetings where she presided over all technical matters in the Secretary's office. Despite occasionally excessive demands on her time, her good humor never failed and she dispatched tedious matters with cheerful efficiency. 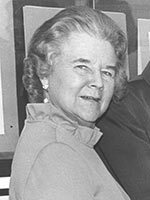 Upon her retirement in 1970, the Association honored her with a special award in grateful appreciation of her loyal service for more than four decades. 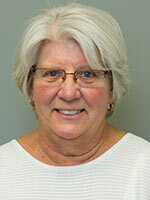 On March 1, 1968 Deborah ("Debbie") F. Polly became employee #7 at the AUA, taking an administrative position in The Journal of Urology® Editorial Office. She was 18 years old, the same age her mentor Bertha Trott was when she became secretary to Hugh Hampton Young. Debbie learned of the position from her aunt who rented an apartment in the same building as the editorial office. In addition to being secretary to Young and managing a one of its kind specialty start-up journal, Miss Trott also was responsible for managing the office building and its tenants. One morning when Debbie's aunt was leaving to go to work, Miss Trott asked her if she knew of someone with good English and grammar skills who would be interested in working for her in the editorial office. And that's how it all began 49 years ago. During her 49 years at the AUA Debbie has performed every single function there is to perform in an editorial office, including sharpening pencils, answering the phone, opening mail, acknowledging receipt of manuscripts, sending papers to peer reviewers, writing and typing disposition letters, editing and proofreading, hand delivering material to printers, working with publishers, and working with editors and authors. She has worked for 8 of the 10 Journal editors â€“ all but Drs. Young and Colston, and that's because she either wasn't born yet or still in school. Debbie began what was called in those days as a "secretary" and worked her way up to her current position of Executive Editor/Director of AUA Publications. The Journal's Editorial Office has now expanded to a full-fledged Publications Department with staff responsible for seven published works. And like her mentor, she too is now managing a subspecialty start-up journal, Urology Practice. Despite the additional publications, however, The Journal of Urology® remains the linchpin of them all and is the number one priority of the department. So what has kept Mrs. Polly at the same place of employment for 49 years? Her answer is "the urologists," who she has worked so closely with over the years in their various roles as editors, authors and peer reviewers. On March 1, 2017 Debbie will begin her 50th year working on The Journal of Urology®, a milestone of which she is very proud.